The Walking Dead, mid season premier didn’t have me on the edge of my seat like the finale did. Even though I was so excited to experience the journey with Rick and Carl, I couldn’t help but feel that the episode was pretty much uneventful. I must admit that there were some very important discoveries made when it came to Michone. We learned a little more about her past and saw more of a vulnerability to her character, which was refreshing to see. Rick suffers from some potentially life threatening injuries when he had his battle with the governor. As he and Carl try to manage to pick up the pieces after the war, the emotional war of battling loss and the father and son relationship they had, meets even more challenges. They move on foot scavenging for the basic necessities of life. Carl makes an attempt to try to protect his father by assuming a leadership role, but Rick does his best to try to keep Carl’s childhood innocence alive. I was so excited to see what had happened to everyone else that left the prison, but unfortunately the episode on focused on Rick, Carl, and Michone. Rick’s injuries soon get the best of him and he slips into a coma. At this point I wasn’t really nervous for him because Rick has been going nonstop since Atlanta. His body just shut down, and after everything he has been through, he is after all-human. Rick needed to rest, and was in desperate need of medical attention. An angered and frightened Carl feels that he is ready to let his father go, and states that he can survive alone and tells Rick that he can die. He ventures off on his own to find food in a neighboring home and quickly faces a Walker scare that almost gets him killed. Carl’s bravery is unprecedented. 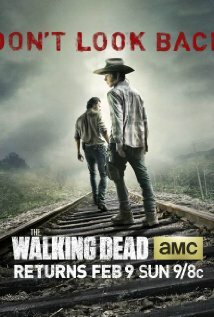 He retreats back to where Rick is and soon believes that Rick will die. A torn Carl tries to handle the situation and Rick slowly comes out of his coma. Michone follows the trail left by Rick and Carl, as she manages to begin her own journey alone. Her emotions go awry as she reminisces over the life she once had and copes with what life has become. While she pushes on, she eventually finds her way back on the steps of the house where Rick and Carl are. I think that Michone will take care of Rick, to help him get back on his feet. Now that we know that Michone was a mother, her closeness with Carl is better understood. She had a son and knows what’s it’s like to have that mother-son bond. Michone will fall in love with Carl and Rick and with the feeling and ideas of what family represents. Michone is going to give the Grimes boys a sense of family again. Once she walks back in their lives her presence will give them hope to find the others. I’m so curious to find out where the second half of this season will take fans. Episode Bonus: The opening scene, where Michone goes back to the prison to find Hershel as a Walker and surprisingly all that is left is his head. I thought that was a great way for fans to officially say goodbye to Hershel.